Good evening everyone! I hope you are all having a fabulous weekend! I am sitting in my office this evening listening to the thunderstorms roll in and being grateful for where I am in life. Just over a year ago I started over in live with a couch, my desk, computers, and ridiculous nail polish collection and wondered where I was going to end up. Well I am happy to say that later this week I will be closing on my home and the fur babies and I will be moving to our new hopefully forever home. The past 18 months have certainly had their ups and downs but where I am headed I couldn’t be more happy. Along with working toward me own home, I’ve been trying to get my health back on track. One thing that has helped me do that is my Fit Snack Box. They have helped me pick healthier snack choices in my hectic life and for that I am grateful. Let’s take a look at what is in the June Fit Snack Box and items I will be using to power me through moving day. 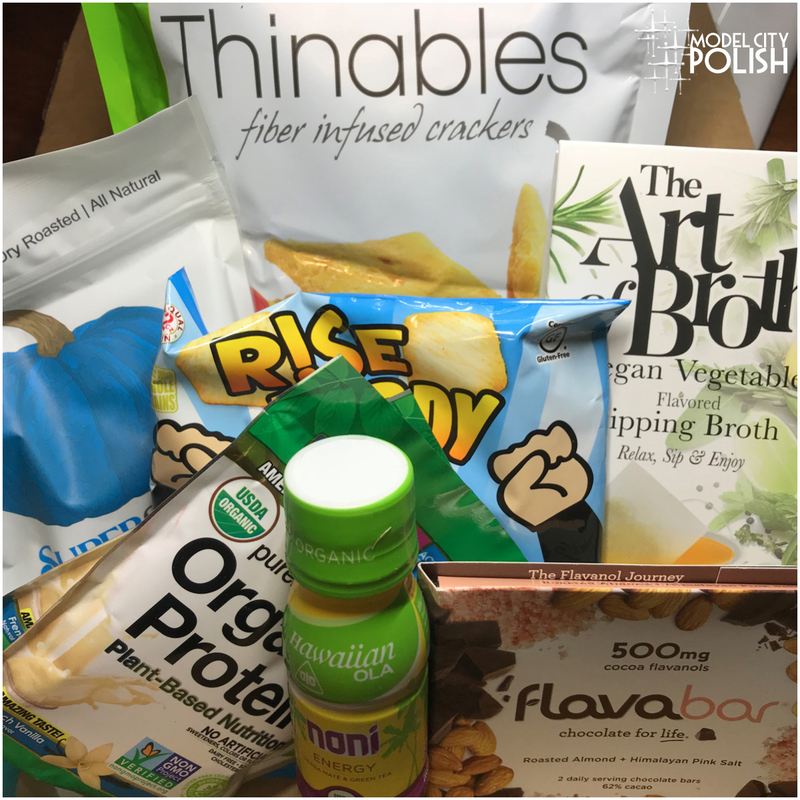 This month’s Fit Snack Box consisted of more old reliable snacks and just a few new ones. That being said, I am more than happy to see some of these repeats. So delicious! 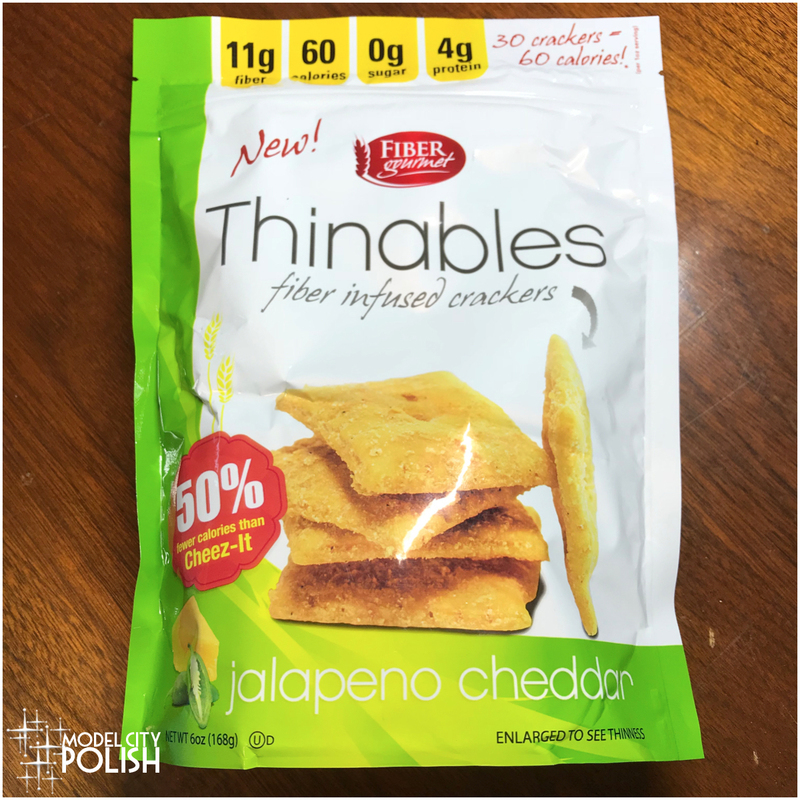 Fiber Gourmet Jalapeno Thinables – Fiber Gourmet Jalapeno Cheddar Thinables have 4g of protein, 11g of fiber, and just 60 calories in each 1 oz serving. I have tried this in the past so I was excited to see these again this month. The jalapeño flavor was actually very mild and would be easy for anyone to consumer. 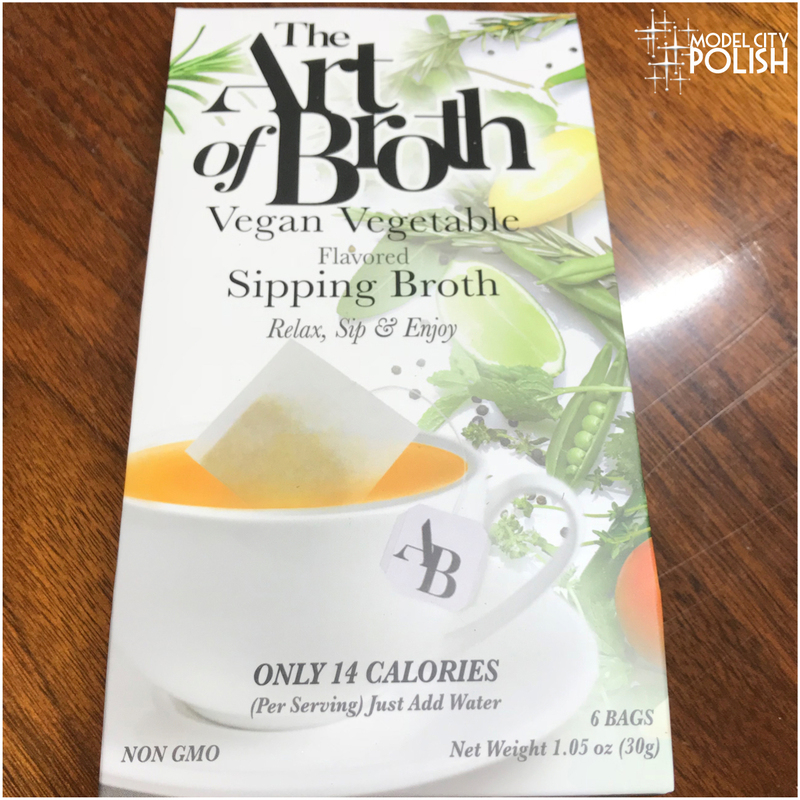 Art of Broth – The Art of Broth is a delicious, convenient, and healthy line of gourmet sipping broths that are packaged in steepable bags. I am actually going to save these for colder months, who doesn’t want sipable broth when sick!!! 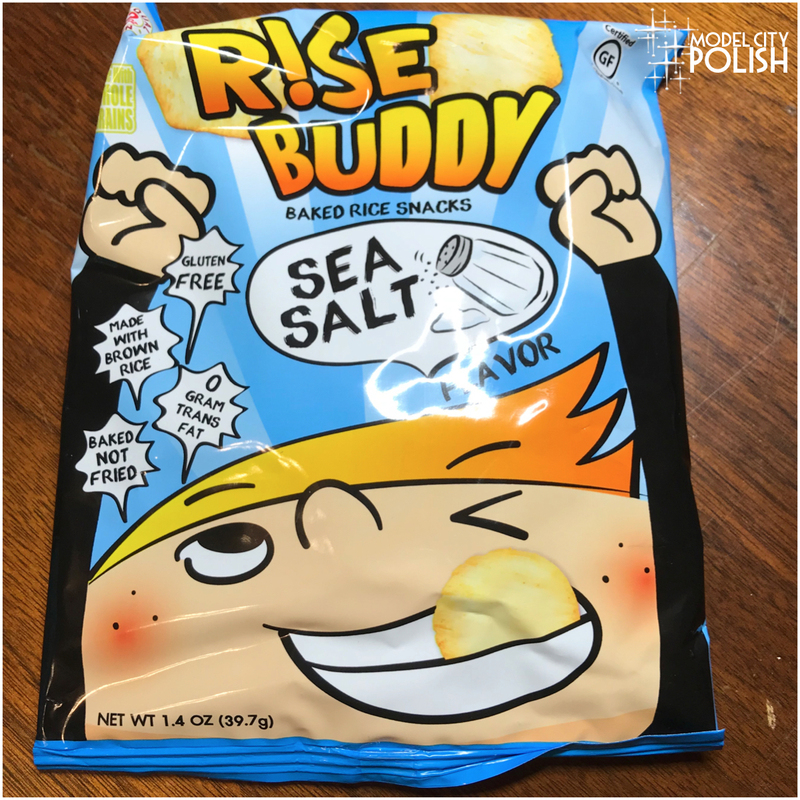 Rise Buddy Rice Crisps – Rise Buddy crisps are gluten-free baked down brown rice chips. We’re crispy like “couch potato” chips, but oh so healthy, with flavors such as Sea Salt, BBG, Pizza, and Sour Cream & Onion. Always happy to get Rise Buddy in my Fit Snack Box, they are so tasty!!! Super Seedz Pumpkin Seeds – Pumpkin seeds have 42% more protein than almonds and 312% more magnesium than peanuts. 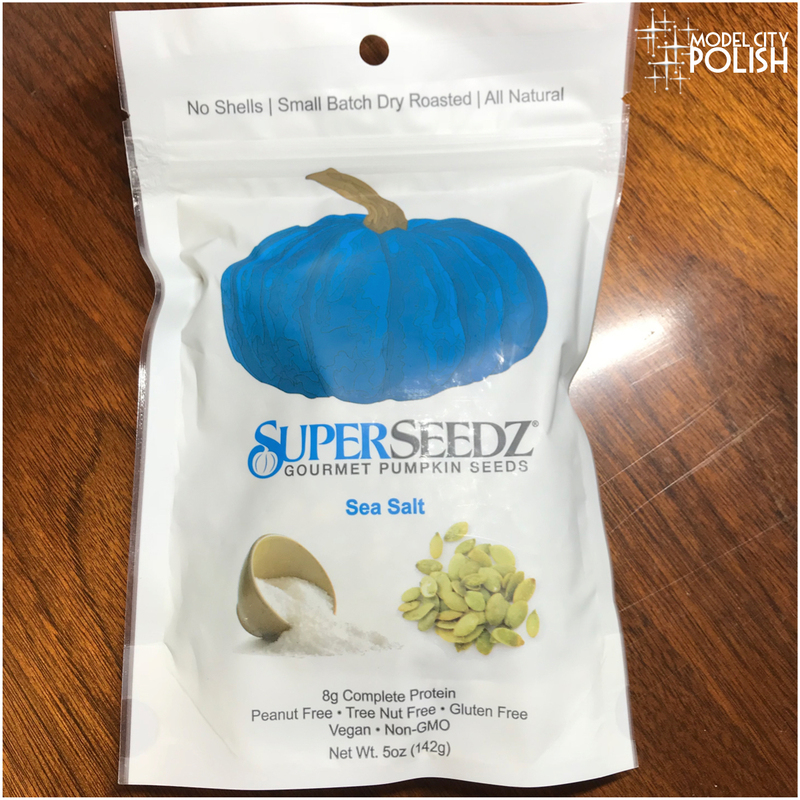 You don’t have to travel the seven seas for the perfect snack – pumpkin seeds with all natural sea salt. 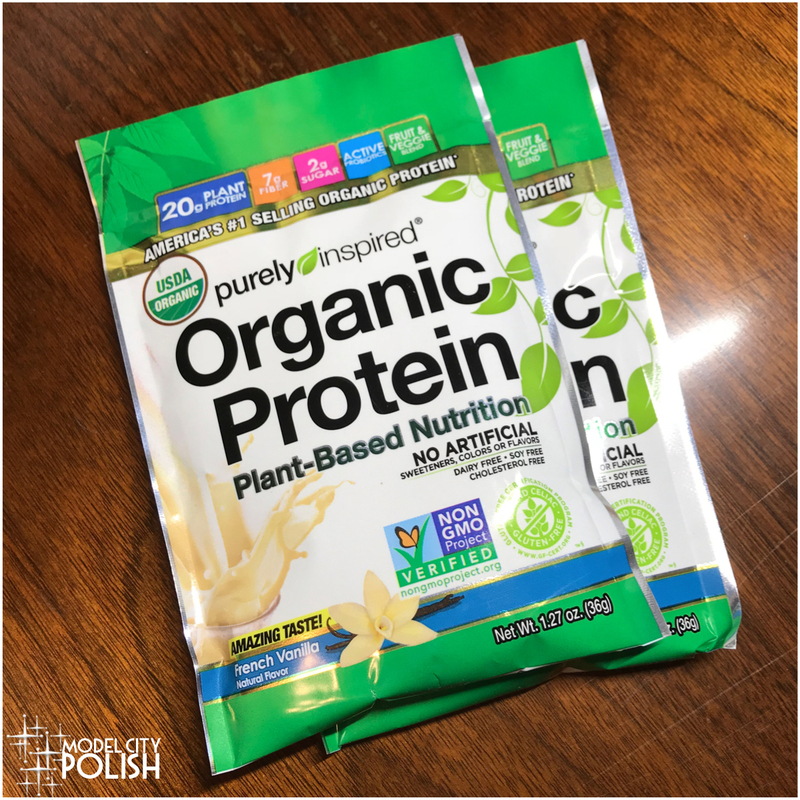 Purely Inspired Plant Based Protein Shake – Organic Protein 100% Plant Based Nutritional Shake you can feel good about. No artificial sweeteners or flavors and 20g of protein plus 7g of fiber in every shake. 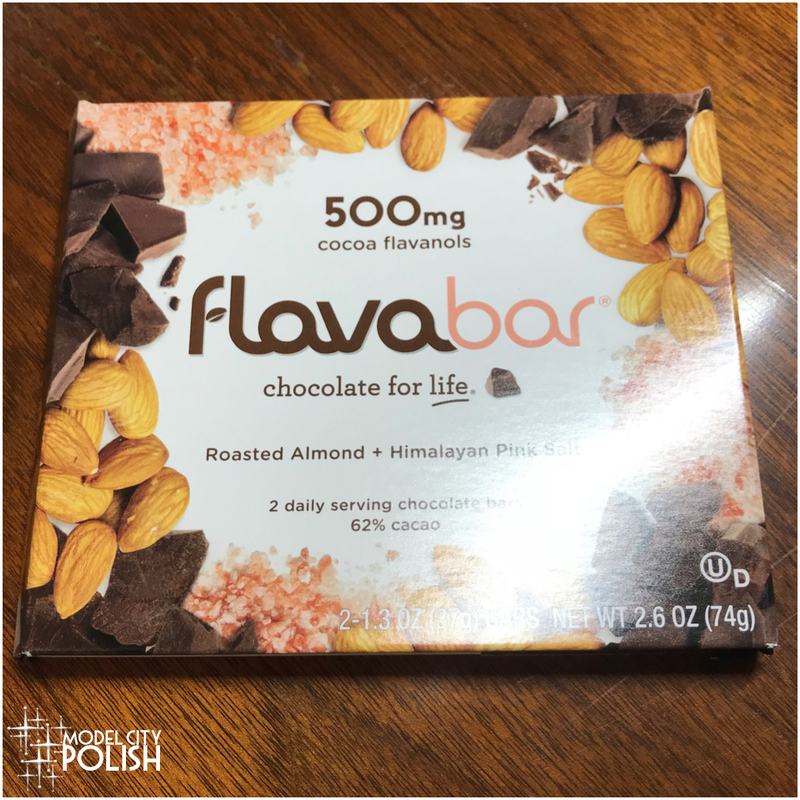 Flava Bars – Roasted Almond + Himalayan Pink Salt FlavaBars: Premium, all-natural chocolate bars with 500mg of cocoa flavanol antioxidants, 5x the flavanol super-nutrients of typical dark chocolate! You better believe I already tried some of these and they are delicious! I only break off a small piece so I will have a lot of chocolate for awhile. 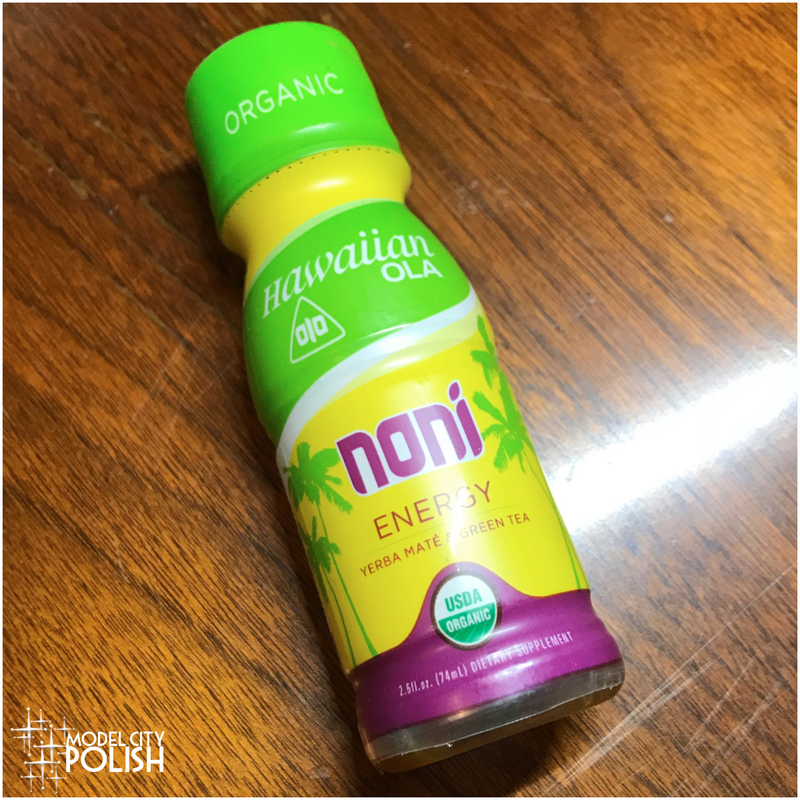 Hawaiian Ola – Benefit from the immune boosting and anti-inflammatory powers of non, Hawaii’s own superfood, in a delicious organic juice shot. So what do you guys think of this month’s Fit Snack Box? Overall I am pretty happy. Tons of great old faithfuls and a few new brands to love. Right now you can join Fit Snack and get your first box for 50% off, cancel anytime! Thank you so much for stopping by today and I will see you all again soon. What a great idea to help you to choose healthier snacks. It is so easy to just grab whatever is close by and it is usually in my case not the healthiest choice. Thanks for sharing. Those look delicious and perfect size snacks for field work. Something to consider for my deployments and a healthy choice! Lots of snacks that we would love to try. I love the packaging that the sunflower seeds are in. I love healthy snacks weirdly enough! This really good snacks! I love the organic food! Love the seeds. It’s great that a lot of efforts have been put to create healthier snacks as oppose to chips with so much MSG in them. I have been always on the look out for healthy snacks, I feel guilty everytime I munch a junk food. Also, been looking for gluten free or organic snacks for ages and finally I landded on your post. Thank you so much! Looks like delicious and exciting at the same time. Never tried that before but I would love to try them soon. Everything looks so good! I just love a good snack box! Healthy snacks in reach are great! I LOVE snacks but didn’t realize such boxes exist. This is such a fun way to try new things out! I love the sound of Jalapenos Thinables. Seems like you got some really cool snacks this month. subscription boxes are always fun to arrive. I haven’t heard of many of these before, so I will have to give them a little check to see if I can purchase them in Northern Ireland! I love the idea of a fit snack box though! I will have to keep up with the others if this is a monthly update! All of these snacks look like they are so good. I love to try new things like this! Those rice snacks sound SO so good!